Most of the people enjoy in music on a daily basis: while commuting, working out, cooking or even working. In the era of technology, we carry the music we like on our phones, laptops or mp3 players. Sometimes, when we want to share our favorite song with someone or just dance in front of the mirror, the music isn’t loud enough. In these situations, an extra speaker would do the job. 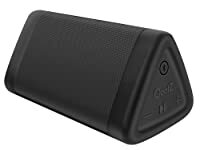 Today, I am going to test and review 10 product to help you find the best bluetooth speakers under 50. Cambridge SoundWorks OontZ Angle 3 is a powerful Bluetooth speaker which can go whenever you want to go, regardless of the environment. Measuring five inches in length, it is built to resist minor water damage whether it be inside or out. The IPX5 waterproof feature will keep it operating at an optimum level when the conditions get wet or damp. However, it should not be confused with being waterproof. It has a long battery life assuring its simple portability, and you will not have to worry about everyday charging. While it does not have much bass, its overall sound quality is pretty good, and it still has one of the better values is this class. In addition, aside from the standard black color, three more color options are available being gray, blue, red and pink. Bottom line, most people will be happy with its performance and features at this modest price level. The Anker SoundCore Bluetooth speaker is incorporating a unique spiral bass port, enhancing bass levels while maintaining a very compact size. The three-watt driver inside this speaker really does a decent job delivering rich audio no matter what type of music or audio is being played. While the sound-to-size ratio is great having the sound quality of a much larger speaker, high-volume will cause some distortion, unfortunately. Anker is well known for its charging products and portable batteries, and in this case, it is no exception since the battery life is very satisfying. This device pairs reliably and quickly over Bluetooth 4.0 standard, and it will automatically connect to the last device you used. Also, it will work just fine as a speakerphone when needed. Overall, if your budget is tight and you care about decent sound quality – do not hesitate to invest or at least take a closer look at this speaker. The DKnight MagicBox II is a decent little speaker, which can get loud even though its sound quality has its troubled moments at high-volumes. Nevertheless, it has a really solid and loud sound overall with the ten-watt acoustic driver, which can pleasantly amaze with its nice bass output. It weighs less than one pound, and it is six inches wide with its simple and almost boring design. It is available only in black color, and it features soft and rubbery coating. At the sale price, this speaker is a good deal. It sounds nice, feels solid yet lightweight, has tactile switch and buttons, and does everything you would expect from a wireless speaker. However, its battery life is somewhat on the weaker side, but it can be easily charged through the micro USB cable. If you’ve made your choice, be aware that the DKnight MagicBox II is only currently available for purchase via Amazon. 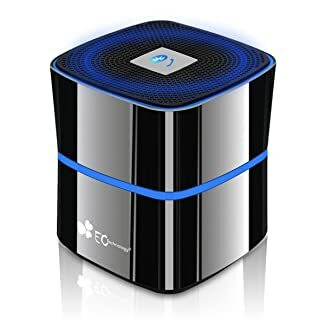 The TaoTronic TT-SKO6 is a small and portable speaker that can connect to any device that supports Bluetooth connectivity. It is a great speaker which will offer rich music experience on the go with its 20 wats combined speakers. However, it would be nice that it is a bit lighter, but again it was not a major concern nevertheless. When powering the speaker on, it emits a tone before it begins the pairing process to the desired device. Aside from this tone notification, it has a couple of LED-s along the top of it which will notify the user what TaoTronic is doing. Also, there is a LED indicator of the speakers’ current battery status. As for the battery, its life is great and offers six hours of playback on just one charge. Recharges can be done by using an USB port and adapter as usual. For its reasonable price, this portable Bluetooth speaker is certainly worth a look. 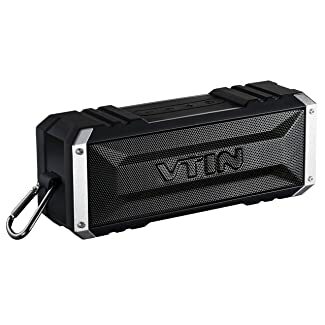 The Vtin wireless Bluetooth speaker is a 20-watt rugged and rectangular device built to withstand the outdoor conditions. It is a seven inch, metal framed speaker with a rubberized exterior, which is very portable because of its size. The drivers of this device are protected by metal grilles, which are very sturdy and should provide excellent protection. The function buttons are situated at the top of the speaker. However, they were not easy to see since they strongly blend into the overall design. Its audio quality was very impressive with its loud volume and nice balance. Unfortunately, even though the sound was very detailed and clear, it lacks some good bass reproduction. One of the greatest things is its battery life, and this is where Vtin goes beyond competition with its 25 hours (70% volume) sound reproduction. It is an all-around and excellent speaker for the price. The Photive Hydra is a standout amongst the most famous brands on the market and without a doubt one of the best wireless Bluetooth speakers that you can buy today. It is covered with a smooth and grippy rubber on all sides, and the speakers are protected with a tough metal grill. As for the accessory ports, they are all covered with flexible pop off caps. Its current PX6 rating is declaring it can survive water splashes from all directions, but it cannot be entirely submerged. The sound of this speaker is also excellent and with decent clarity. However, it would be nice for it to have somewhat more bass, and the treble can be sometimes harsh on high volumes. Even though its bass won’t produce earthquakes, it sounds good for a speaker of this size. Overall, the Photive Hydra packs a lot of punch in a small package, and is built like a little tank which makes it my top choice. 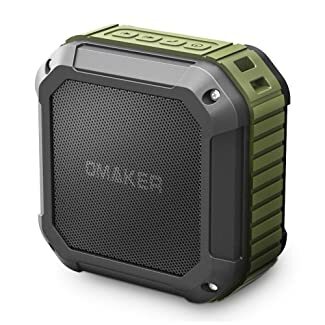 Omaker M4 Bluetooth speaker is small and handy speaker suitable for using in your backyard, by the poolside or in the shower. This Bluetooth speaker uses 1 Lithium ion battery which provides using the speaker for up to twelve hours and short charge time. The sound quality is very good and although many small speakers have problems with the bass sound, with Omaker M4 that isn’t the case. The bass doesn’t crack or goes tiny. One more advantage of Omaker M4 Bluetooth speaker is its’ waterproof design. In case it gets wet, just wipe it off with a dry towel. Although you can change tracks or volume using Omaker M4 when you don’t want to touch your phone, the volume up and skip button is the same button. This can be a problem because when you don’t hold volume up long enough, you will change the song. 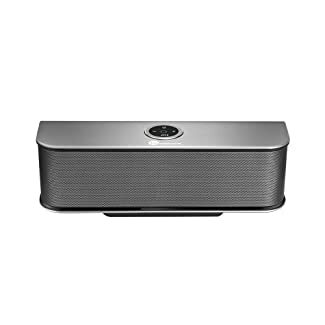 AmazonBasics is modern designed Bluetooth speaker that comes in four colors: black, white, red and blue. What makes AmazonBasics different from most Bluetooth speakers is a built-in microphone for hands-free calls that allows you to make calls without holding your phone and without echo sound. It doesn’t come with a charger, but it is equipped with an USB cable so you can charge it using your computer or adapter. The battery lasts long, so after one charging you can use speakers for fifteen hours. The only flaw of the USB cable is its length: it is 20 inches long, and that can be a problem when charging the speakers. The sound is sharp and clear, but it can sometimes get blurry when the volume is on maximum. 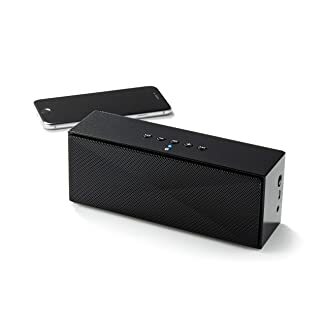 AmazonBasics Bluetooth speaker is perfect for traveling because it is very light and small. The price is reasonable and corresponds with the speakers’ quality. 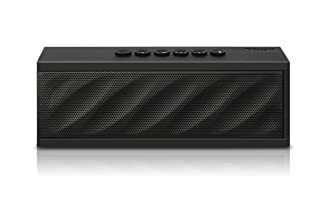 Jawbone Mini Jambox is very portable Bluetooth speaker small enough to be carried in a pocket. Its unusual design and innovative features make it one of the best Bluetooth speakers on the market. Jawbone Mini Jambox is made of one-piece aluminum, which provides excellent sound and durability. Multi Play option allows you to pair two Jawbone Mini Jambox to produce a louder sound. Also, built-in microphone eases the use of the mobile phone: you can make phone calls or FaceTime calls (if you are iPhone user) using the Jawbone Mini Jambox. The sound quality is surprisingly good for such a small speaker. It is clear and with no interruptions. The only flaw of Jawbone Mini Jambox is its sound quality: the music isn’t loud enough even when the speaker is on maximum volume. EC Technology Bluetooth speaker is incredibly small and futuristically designed speaker. It comes in two colors: black gray and titanium gray that can be easily fitted in any environment. 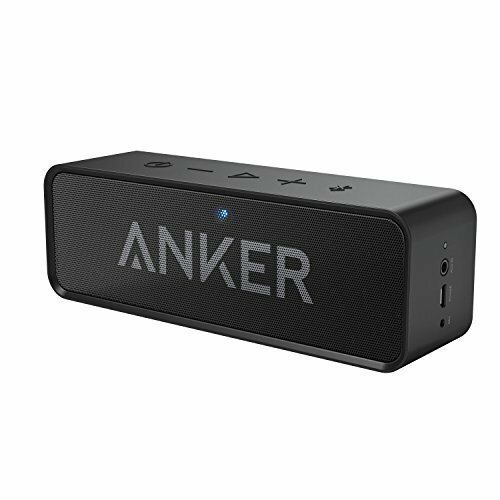 The biggest advantage of this speaker is that for one price you get two products: Bluetooth Speaker and Portable Power Bank for headphones. What makes EC Technology speaker different is a small dimension that makes it suitable for traveling. Also, it can be stored very easily. The sound is very clear on both low and high volume. The battery lasts long, and it automatically turns off when the speaker is not connected for more than ten minutes. The buttons are placed at the bottom of the speaker, so you have to turn it upside down every time you want to change the song or volume. Comparing the price of EC Technology speaker and its features I find it adequate. After testing and reviewing all Bluetooth speakers on today’s list, I decided that the best speaker under 50 that can currently be found on the market is Photive Hydra. It has innovative and futuristic design and amazing features. This speaker provides you with music up to eight hours thanks to its’ Lithium Ion Rechargeable battery. 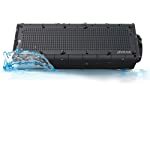 In the case of falling or getting wet, the speaker is protected with grippy rubber and metal grill. The sound is excellent, and the bass is great considering the size of the speaker. Without any doubt, I find Photive Hydra to be the best Bluetooth speaker under $50. If you want to get more feeling when listening music then a water speaker which will adapt all your demand. Checkout top dancing speaker at here.